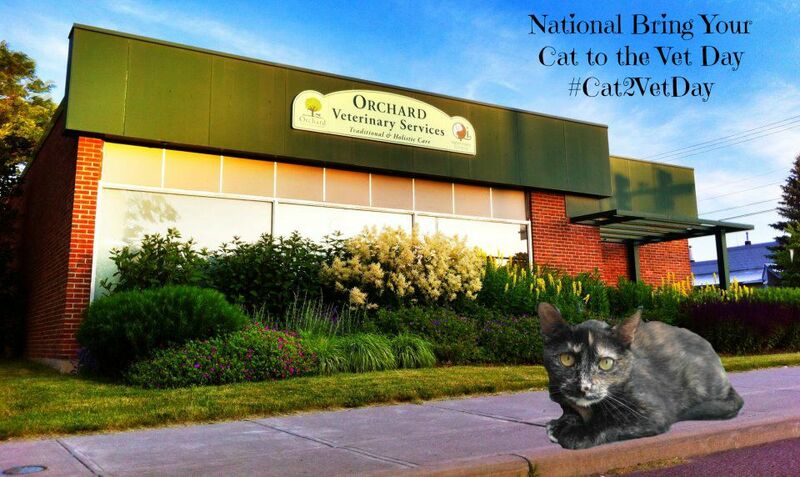 Did you know that tomorrow, August 22nd, is National Bring Your Cat to the Vet Day? With my adoption paperwork Mommy received a coupon for a free wellness visit so I've been hearing her using the V-E-T word quite a bit. You know what's weird? I'm not nervous! I enjoy car rides, I love meeting new people, and I hear Dr. John is really nice. And I know he'll love me...I mean seriouslies, who wouldn't? The crazypants thing is that Mommy is the one who's a nervous wreck! She says that from past experience there's no such thing as a "routine" vet visit for her. Her previous cats were older and something was always "popping up" during check-ups, and even though Truffles was young and healthy, what was going on inside her little body only a heart specialist would have been able to detect. And who would think to take a 4 year old cat to a cardiologist? 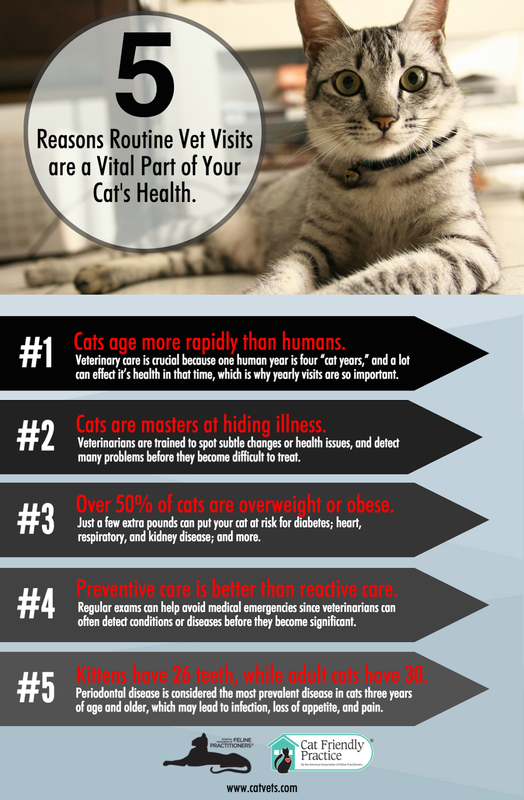 I found the following infographic and video that shows the importance of routine vet visits for kitties (and doggies too!) Now I just need advice on how to convince Mommy to stop being such a Nervous Nellie! Do your humans worry all the time and fear the outcome of vet visits? We're purring and hoping that your vet appointment goes really well and that your mommy will lose her nervousness! I know everyone there will love you! We don't like going to the vet either, Mudpie, but we know these routine visits are necessary. We hope all goes well for you when you go. They're gonna love you! I know that tomorrow is National Bring Your Cat To the Vet Day, but since we recently blogged about Dr.Smiley,I am giving Cody a reprieve tomorrow lol. Tell Mom not to be nervous (even if it is hard)....kitties pick up on nervousness from their owners and you don't want to become fearful of the vet. I usually put the radio on in the car and sing to Cody on the way there (did it with Bobo too)....Cody is super good at the vet.......even when he was sick I had to try and make light of it because I didn't want any of my emotions transferred on to him. Good luck! All will be fine! Good luck with the appointment and thanks for the reminder! Mudpie it's easy to understand your Mom's reluctance. She has been through some difficult days. But we know your Vet visit will come with a 100% clean bill of health! Enjoy your car ride. You are right- who wouldn't love you :) I can understand your Mom's fears, but I am sure she will take you for a checkup because she knows it is best for you. I don’t need no stinkin’ vet! Heh!